We are offering a wide variety of Hand Protection Gloves that is available in different material such as leather, PVC, nitrile, asbestos and canvas. These gloves are available in various sizes such as small, medium and large sizes to provide complete safety to the hands. 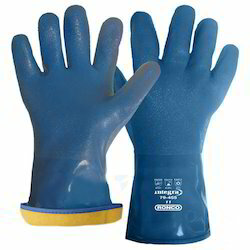 We have marked a remarkable position in the market by offering the best quality array of PVC Safety Gloves. Suppliers of Vairous types of safety equipments. 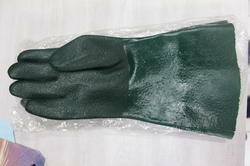 PVC Support and Unsupported Gloves, Knitted and Dotted PVC Gloves. Being a foremost organization in this industry, we are actively engaged in offering the finest quality range of PVC Hand Glove.